Have you always wanted straighter teeth? Do you or your child have crooked teeth or too much spacing? If so, then it's time to schedule a no charge initial consultation with Dr. Kendall Woolridge of Grand Orthodontics. 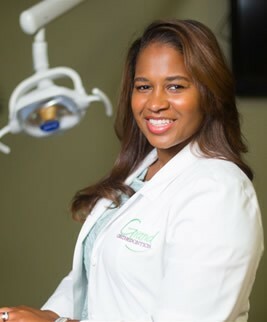 Dr. Woolridge graduated from Meharry Medical College in 2005 where she received her Doctor of Dental Surgery Degree. Dr. Woolridge continued her studies at Jaksonville University School of Orthodontics in Jacksonville, Florida. She is a member of the American Board of Orthodontics and American Association of Orthodontists.